It's a Scrappy World: 12-10 Hilarious New Christmas Chaos Challenge at CtB with Bugaboo Stamps! 12-10 Hilarious New Christmas Chaos Challenge at CtB with Bugaboo Stamps! Lovely card and fun sentiment! I like your glittery presents! Thank you for joining us at Sister Act card challenge! 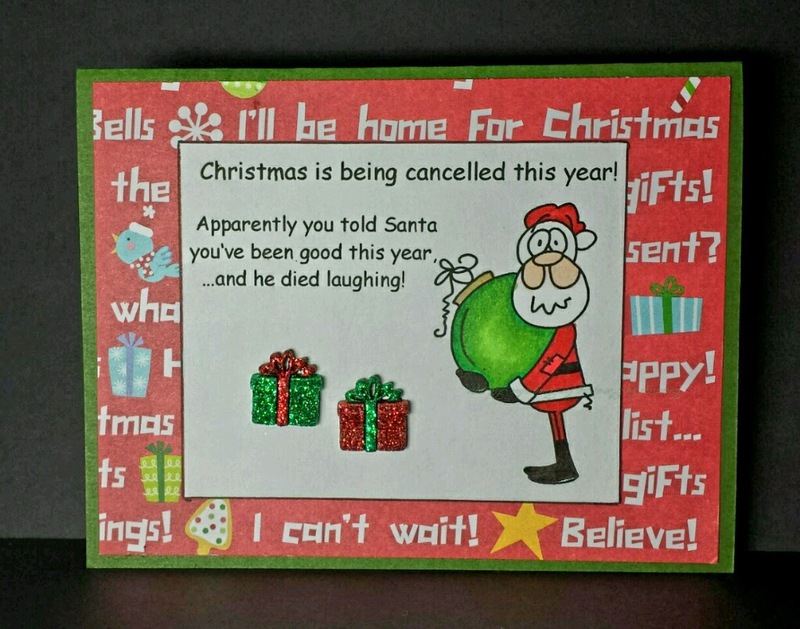 I love the humor in this card, lovely image and embellishments. Thank you for taking part in the Crafty Boots Christmas Challenge.